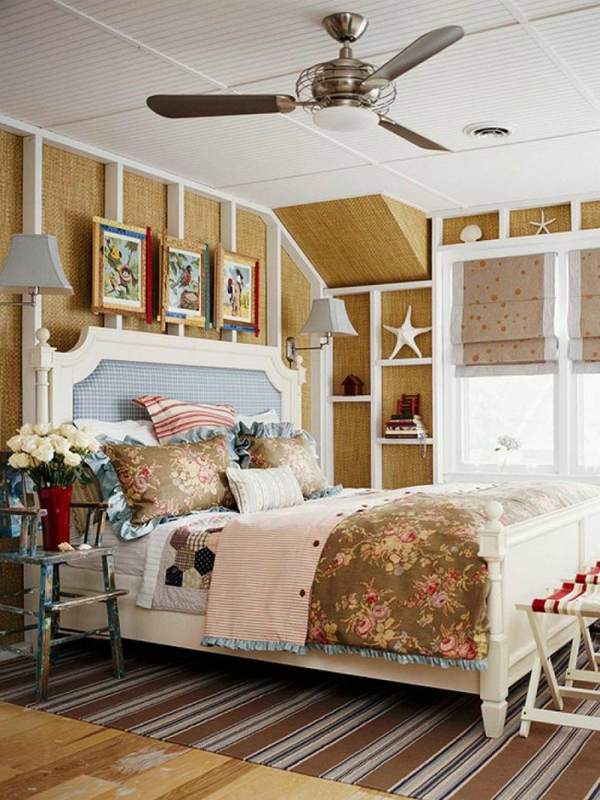 Bedroom Ideas: Have you ever tried to sleep in a beach? Everything looks so romantic: secret beach, the sound of the waves, fresh summer breeze, and mysterious sky with huge stars in front of your face. Unfortunately, sleeping in a beach is not for everyone, but sleeping in a bedroom which looks like a beach is, probably, everyone’s dream. 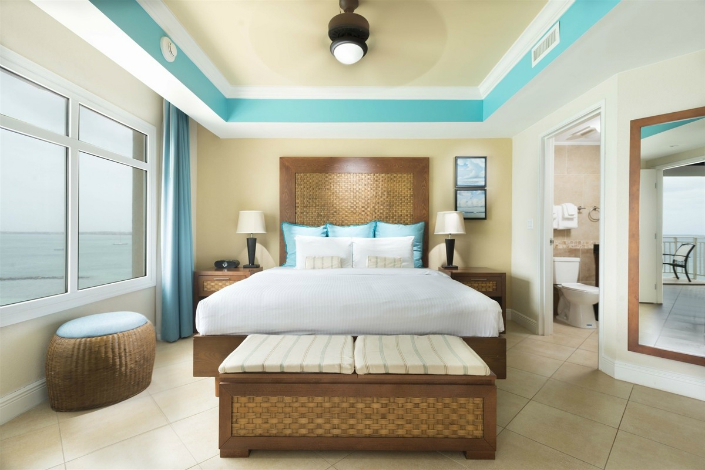 There are various summer home decor solutions to make your beach bedroom more exotic: fresh ocean and sand colors, sea shapes and all the details which are related to the beach. 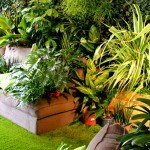 I would like to present marvelous interior design ideas for bedrooms. Take a look and be inspired by beach house style! 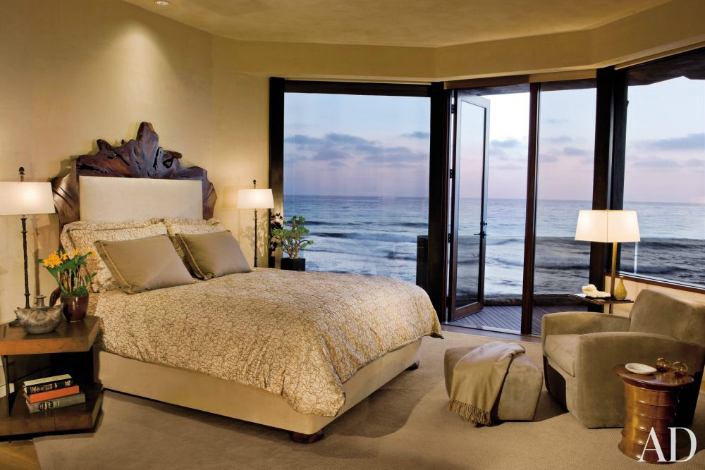 Natural tones of the room and sea shells mirror under the bed – perfect beach bedroom idea. Natural sand color brings warmth inside the room. 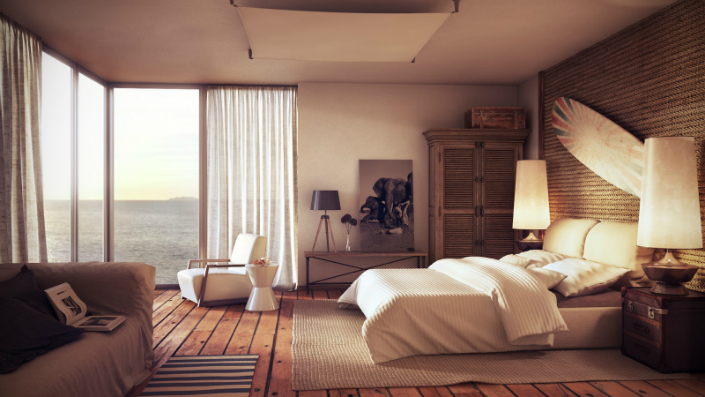 Furniture based on natural materials could be the best decision for a beach bedroom. 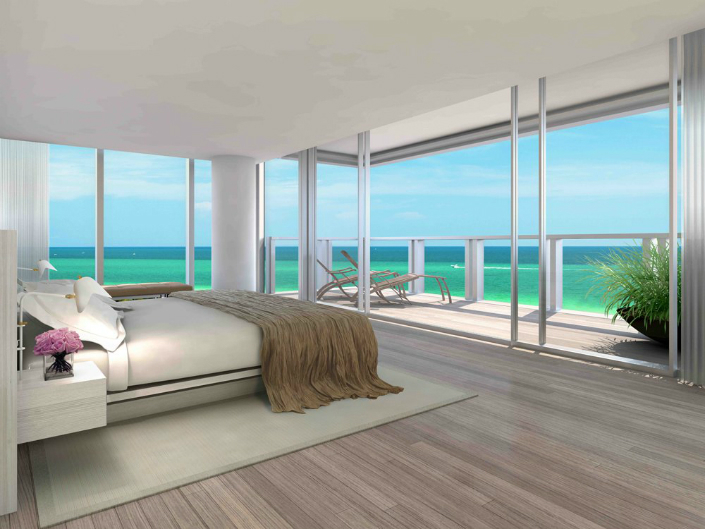 Probably the main beach room interior detail is a view outside the window, but take a look at the light and natural blanket on the bed. 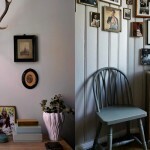 One of the most summery interior details – surfboard on the wall, which could be also used for surfing in the ocean. The shells of the ocean easily bring you back to the beach. White color is the secret of the image of the clearness and freshness. Combine the details that remind you the beach and create your own home decor which brings you back to your holiday. Take a look on our board Bedroom Inspiration Ideas where you will find more home inspiration ideas. SEE ALSO: HOW TO DECORATE A BEDROOM MAKING IT THE MOST LUXURIOUS ONE?